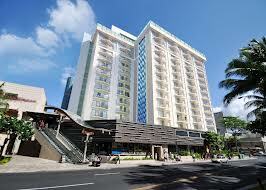 Ease into an unforgettable Hawaii vacation at Hokulani Waikiki by Hilton Grand Vacations Club. 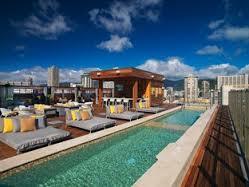 This all-suite hotel boasts a fabulous location, just steps from the famous Waikiki Beach, in the heart of Waikiki’s shopping and entertainment area. 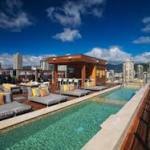 Discover the vibrant downtown of Honolulu, just fifteen minutes from the hotel. Stay active with the choice of outdoor activities on your doorstep including; snorkeling, golfing, scuba diving, watersports, and hiking. 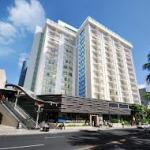 The Hawaii Convention Center is a leisurely ten-minute walk away and Honolulu International Airport is a 25-minute drive from our hotel in Honolulu. Enjoy the freedom to live at your own pace in one of the 143 spacious one-bedroom suites at Hokulani Waikiki by Hilton Grand Vacations Club. Prepare meals in the fully-equipped kitchen and relax in your living and dining space, or look out on the city from your Juliet-style lanais. Catch your favorite show on the 42-inch HDTV and keep the family entertained with the PlayStation 3™ in every suite. Stay connected throughout your stay with complimentary WiFi in each suite and throughout the hotel.